Fish emulsion has been a go-to product for the organic and natural home gardener for years now, as it has proven its effectiveness in feeding the soil and plants with biologically available nutrients while increasing soil and microbe health. The main drawback to commercial fish emulsion is the cost and the smell. While we can’t do anything to help you with the fishy smell, we can help you make your own fish emulsion that will not only save you a lot of money in product and shipping costs, but just might make a better product than you can buy! This homemade fish emulsion will almost always supply more nutrients than commercially available, but also supplies much more beneficial bacteria from the brewing process. In order to ship, commercial emulsions have little to no active bacteria, because they make containers swell as they continue to grow! All fish emulsions are good organic nitrogen sources, but they also supply phosphorus, potassium, amino acids, proteins and trace elements or micro-nutrients that are really needed to provide deep nutrition to your soil community and plants. One of the benefits of fish emulsion is that they provide a slower release of nutrients into the soil without over-feeding all at once. It is usually applied as a soil drench, but some gardeners swear by using it as a foliar fertilizer as well. Adding seaweed or kelp to the brewing process adds about 60 trace elements and natural growth hormones to the mix, really boosting the effectiveness of the fish emulsion. The seaweed or kelp transforms the emulsion into a complete biological fertilizer. Beneficial soil fungi love seaweed. Dried seaweed is available at most oriental grocery stores. The amount you need to add will depend entirely on your soil needs. If you are just getting started in improving your soil, add up to a cup of dried seaweed or 2 – 3 cups fresh. If your soil is doing pretty good then add about 1/4 to 1/2 cup of dried seaweed and up to 1 – 2 cups fresh. Rich, well-aged compost is a key ingredient to great fish emulsion, as it has lots of active microbes and other biological life which will help kick-start the fermentation of the fish. 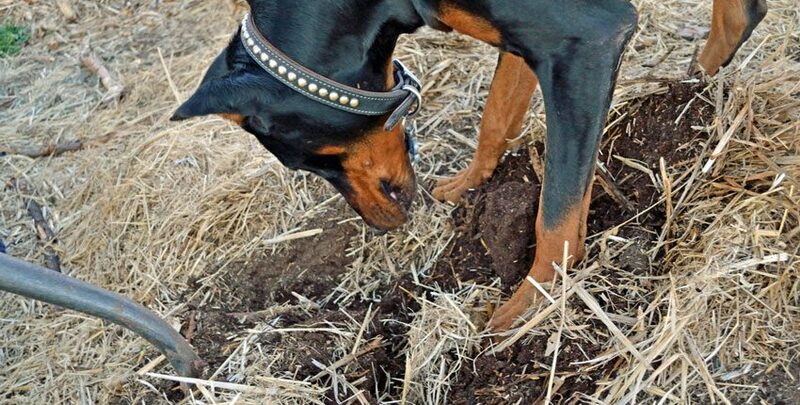 A good compost hunting dog is not required, but really helps. 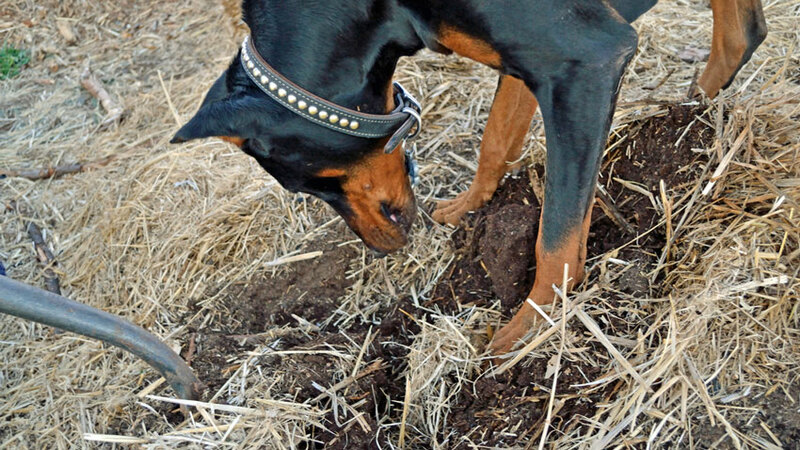 We’ve found the Doberman breed to be very helpful in finding just the right compost! Dalmatians do a pretty good job as well. 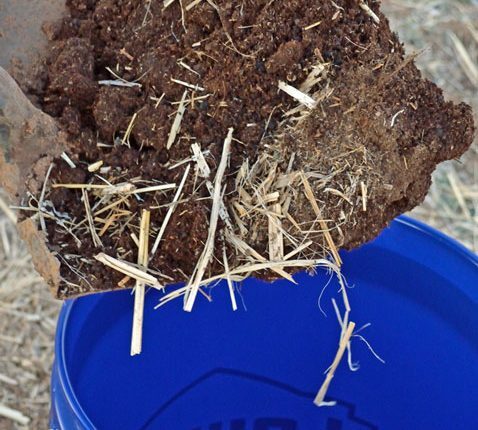 Fill the bucket half full of well-aged compost, aged sawdust or leaves, or a combination of all three. You are looking for the dark brown, crumbly compost that smells like rich earth. 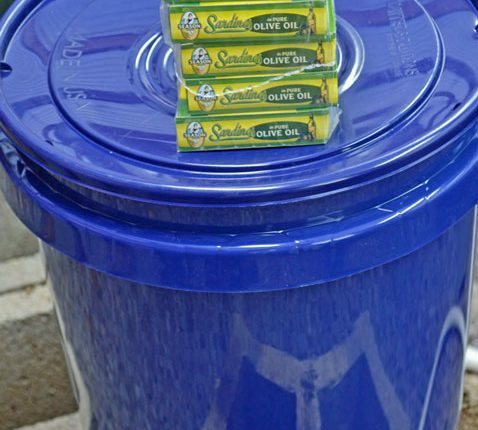 add in the cans of fish, rinsing the cans with the water to make sure you get every last drop of the “good stuff”. The juices or oils in the can will breed beneficial microbes and supply extra proteins. To supercharge the brew, add 1/4 to 1/2 cup of blackstrap molasses to provide sugars and minerals to the fermenting process. The sugars also help control odors. Next, add the chopped or powdered seaweed to the mix. If you need extra sulfur and magnesium, add 1 Tbs Epsom salts. Stir well and cover with a lid to control the odor, but not tightly as it will build pressure as it brews. 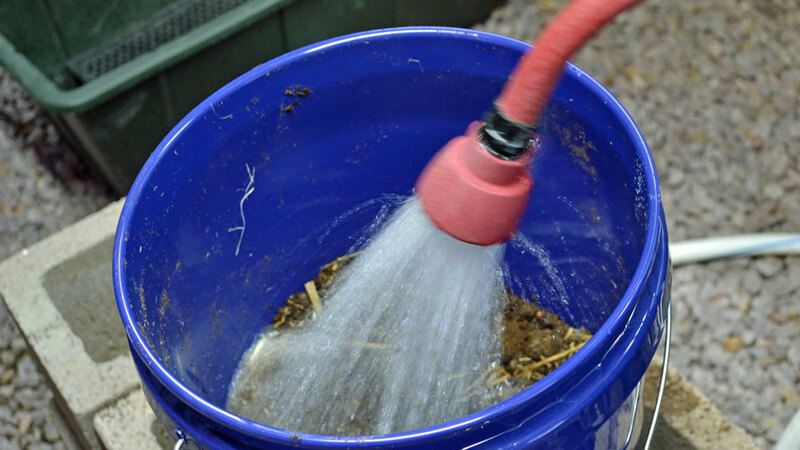 NOTE – Make sure that flies do not get into the bucket or you will have a marvelous breeding ground for maggots! One solution is to drill several holes in the lid for the bucket and glue screen mesh on the inside of the lid, allowing air flow but keeping those pesky flies out. Remember, you are brewing the most delicious aromas the flies have ever smelled! Let it brew for at least 2 weeks, a month is better. Give the contents a good stir every couple of days. Once it has brewed for a month, it is ready for use! For a soil drench, use 2 – 3 Tbs per gallon of water and apply to the roots on a monthly basis during the growing season. 1 Tbs per gallon of water makes a good foliar fertilizer. Just make sure to apply it by misting during the cooler parts of the day, not drenching the leaves in the heat. Half a cup per gallon will give your compost pile a kick start. Great post, Stephen! I am a new subscriber since I heard you on the survival podcast. Is there a reason for using herring type fish? The reason I ask is because I have an aquaponics system in my backyard and thought that this might be a great way to recycle my tilapia “leftovers.” I really like the idea of having a multi-looped system, so to speak, where nothing is wasted. How awesome to be able to use my tilapia scraps to fertilize the rest of my garden! I love your newsletters and blog and will be ordering seeds from you the next time I need them. Thanks! Hello Chris! You can use Tilapia “leftovers”, they would make an ideal feedstock for brewing your own fish emulsion. Make sure to use the bones as well as the soft parts to add bio-available calcium to the emulsion. 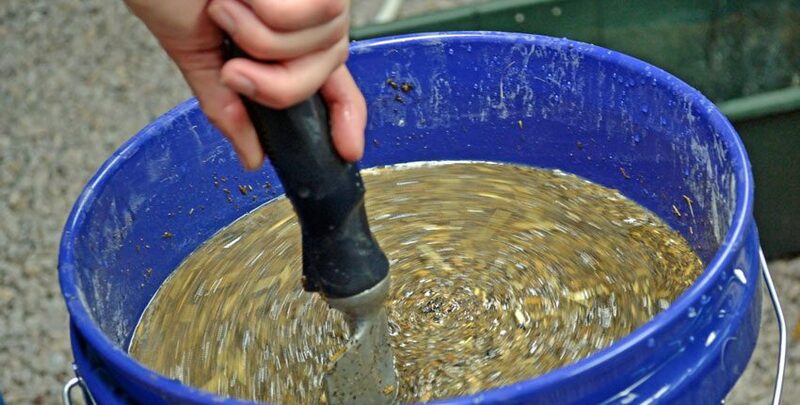 Once the brewing is done, add the sludge to the compost pile to supercharge it. Let us know how it works for you! Thank you Stephen! I can’t wait to try this out. Thanks Melody! Most people are very pleased to see how well it works, so I’m interested to see how it does in your climate. Hello from another TSP listener. That is an awesome tip! Thanks Stephen. 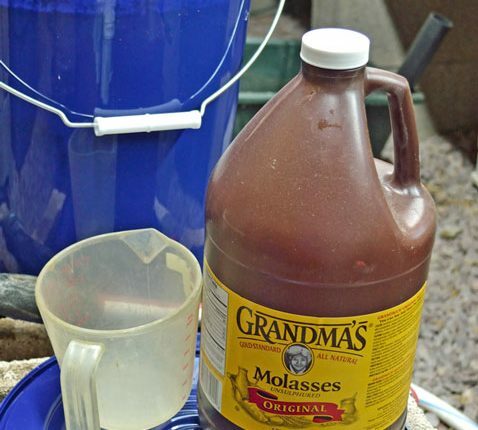 Great Post… Can you tell me if this emulsion has a shelf life… I’m a small gardner and not sure if making a 5 gallon pail will be too much for me if I must use it right away…Thanks for the recipe..
You can always make less, maybe start with a 2 gallon batch. The fish emulsion should keep for at least 6 months to a year. This is a good thing for an angler to do with his cleaning scraps and trash fish catches. Even minnow catches and left over minnows. All of which can be frozen until you get enough for a batch of emulsion. What would be the nutrient difference between using cooked fish and fresh/frozen fish for the recipe? Will cooking not alter nutrients? Good thoughts, Larry! Cooking the fish won’t make any difference in the nutrients, as the fish is fermented. Could this be used for indoor plants? Deborah, yes it will work great for indoor plants, just be aware of the odor. I would recommend to strain the solids out after brewing it and use a more dilute solution than you would use in the garden. The odor will dissipate, so applying it before you go to work or on a nice day with the windows open might be a good idea. Some people notice the odor more than others. thanks so much for the tip. I may have overlooked it, but did you mention how much seaweed needs to be added? I will be making some of this up soon!!! Hello Kathy, the seaweed/kelp amount is variable based on how much you want to add. For a 5 gallon batch as mentioned in the article, 1 – 2 cups would give a great mineral boost, some soils will need more and some less. wow this sounds great. I will try it soon. Thank you so much and I loved reading the different articles. I just poured my first fish emulsion onto a new bed that I want to prepare for a vegie patch. I only had fish rotting in water for about 2 weeks. Would that make a difference? I forgot to add the brown organic material and only added the sea weed and molasses to it at the end. Hello Omphalie, the rotting fish will have some good nutrients, but will not be as biologically active or available to the plants or soil as with the compost addition. 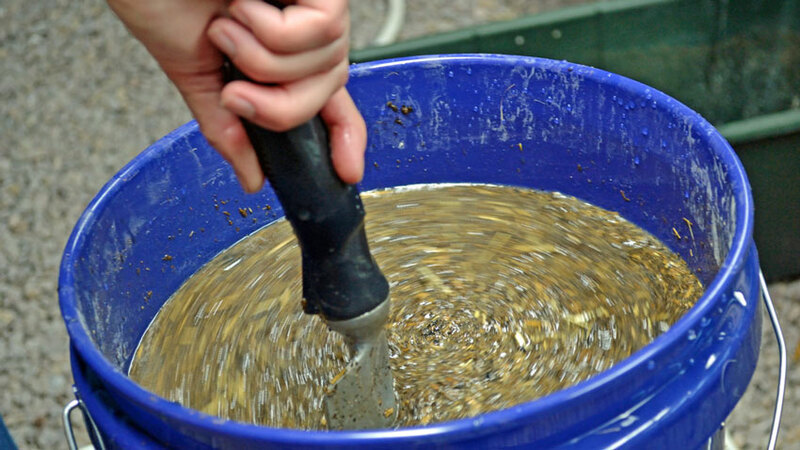 The compost isn’t just brown matter, it has many different kinds of very active microbes that ferment and digest the fish proteins, breaking them down into simpler compounds that the soil communities can access readily. Those microbes and bacteria reproduce greatly, supercharging the biological communities in the soil when applied. 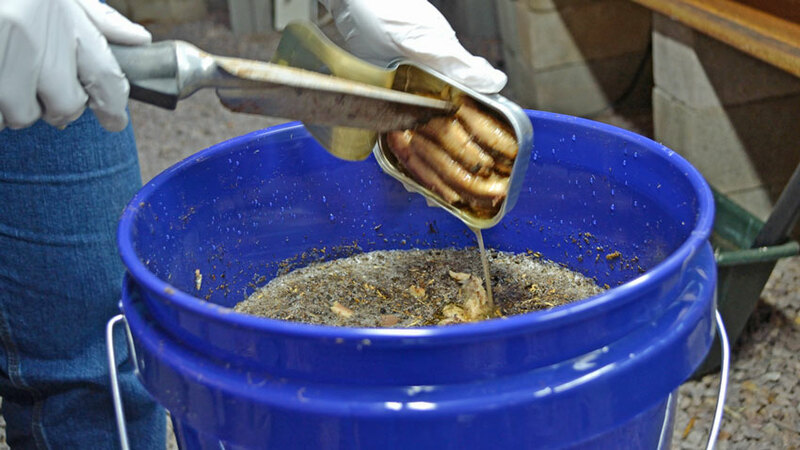 Many people report seeing a bubbling or foam forming on top of the bucket when the fermentation is going. This means great things are happening! I don’t believe that you harmed anything, but just didn’t get the best “bang for your buck”. The different ratios vary greatly around the web, mainly due to the quality of what emulsion is available. Home-brewed emulsion is normally several orders of magnitude more active and nutritious than most commercially available emulsion, thus the need for higher amount of the emulsion in the water to achieve similar results. I would recommend starting with a lower dilution with a good home-made batch, as you don’t want to overwhelm the soil community with too much at once. Then as you see how the garden soil and plants respond, you can adjust up or down as needed. thanks for your reply. I will start a new batch tomorrow and chuck the rest of my first brew onto the compost heap. I have another couple of questions. The 2-3Tbs for the soil drench, is that from the strained concentrated ‘tea’? How much would you take of the combined mixture? What is your experience with aerobically-brewed fish emulsion and compost tea using an air pump? Anyone more potent with micro-organisms? 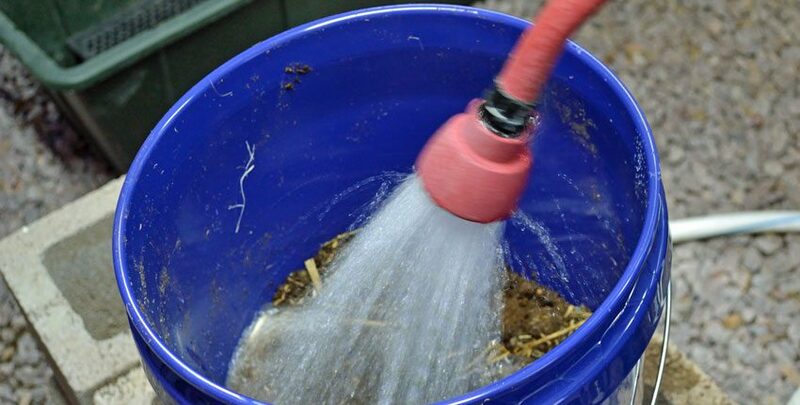 Omphalie, The 2 – 3 Tbs is from the strained portion so it doesn’t clog up your sprayer or applicator. You can use the same amount of the unstrained mix, just be sure that it won’t clog whatever you are using to apply it with. I don’t have any experience with using an air pump, but from what I’ve read in Acres USA it can be very effective. There seems to be some definite market hype about this concept, as several ads I’ve seen talk about it’s only effective if done “right” (using their equipment!). Having said that, I think that it bears further research and testing. is it essential to leave the lid on the bucket when you let the fish emulsion mature? I did for the first couple of days and it was bubbling each time I opened it and stirred it. Then I left the lid half open, thought more air might be good and the yeast like bubbles were no longer there. Is it essential for the brewing that the lid is closed? It stinks really foul now when I stirr it. I want to use it soon and thought to better check in with you not to harm my plants with it. Good to hear from you!The main reason to leave the lid on is to contain the odors. You mention is smells foul- is this a fishy type foul, or a rotten, nasty foul? It should smell really pungently fishy, but not like rotting meat or such. Did you add molasses to the mix? It will help with the odors. You can strain the emulsion and add the molasses after straining to get some of the same results. It sounds like your brew is about done! Help with a detail, you say to use 10 cans of fish. Are these 2 oz / 8 oz cans or 15 oz cans or does it matter? It doesn’t really matter too much, Tom. The more fish, the stronger the emulsion will be after fermenting and the longer it will last. Let us know how it works for you! Thanks for the great article. Can the bucket stay outside in the backyard protected from rain? Any temperature requirements? I’m in texas and want to ensure hot weather wouldn’t cause it to rot. It is probably best for the bucket to be outside, you really don’t want those smells in or near the house! A lid on it that allows ventilation but is protected from the rain will work great. I use a screen or wire mesh to keep the flies out. The temperatures don’t seem to matter, even freezing doesn’t stop the process – just slows it down a lot. Hotter weather will speed up the process, so it will be finished sooner! Here in India, Fish waste is used to make emulsion. we go the fish market and collect waste. 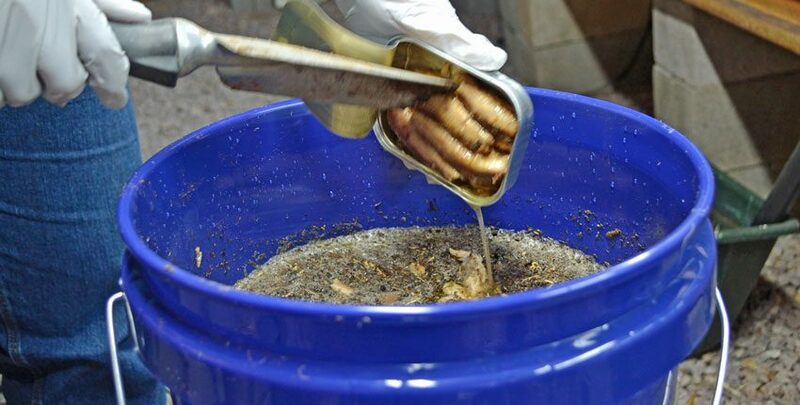 This waste is weighed and an equal amount of jaggery is added by diluting in minimum water. i have not experinced any fly problemand the emulsion was sweet smelling & ready in three weeks time. I had to look up “Jaggery” – unrefined cane sugar! I wasn’t familiar with that term, but it makes sense to use an equal weight of unrefined sugar with the fish. Thanks for this! Where in India can we find such a fish emulsion and what is it called locally? David, the seaweed and kelp provide trace minerals and nutrients that are not found in soil-based plants. The alternative would be to use Azomite or Elemite to provide those trace minerals and nutrients. You can find these by doing a search online. This emulsion is super exciting. I know how ‘good’ it is and even the best on the market did not seem quite right. So I’ve just buried fish heads (& fish stuffs) directly, added chicken poo, a little compost and browns… Anyway, that’s how my grandfather taught me. But I do not eat enough fish to make this effective in our gardens. So, ah, fermentation. Brilliant. Ferment my food, ferment my foods’ food. I had questions but everyone else addressed them. Thank you!!! Thanks Juliana! Yes, we talked with a lot of people at the Heirloom Expo, so it’s hared to remember individual folks unless what we talked about was unique. Let us know how the fish emulsion works for you this year! I am a butcher/fish monger who has just purchased some land. I am transplanting nearly a 100 cedar trees, couple dozen shrubs and misc grasses. In addition I am wanting to help return the pasture back to prairie and wild flowers. I have started making fish emulsion from Salmon carcasses that I fillet. I have two 55 gallon drums that I have been adding scraps to for about 3 weeks. Any idea on how the batch size will effect things? Also, any thoughts on if i was to aerate the pasture and spray with emulsion tea? Thank you for all your good work, responses and sharing of knowledge. August, 55 gallons of fresh fish emulsion at a shot sounds great! Just scale the recipe up for the amount you are making and don’t worry if the amounts don’t come out exact. The microbes will still love it! Spraying the pasture with emulsion tea will help jump-start the growth, but I would also recommend adding milk to the spray regimen. 3 gallons per acre is all that you need, so not very much! You can dilute the milk with water and the fish emulsion to a consistency that is easy to spray. Good luck and let us know how it goes! How exactly did you make fish emulsion with your salmon carcasses? I have about 40 and I need to do something with them asap. Thank you! Wow! 40 salmon carcasses will make a lot of great fish emulsion. For that amount, I would use a 55 gallon drum or barrel, preferably plastic. That way, all of the fish will fit into one container for the fermentation. You don’t have to blend the bones if you don’t have access to anything that will process them. 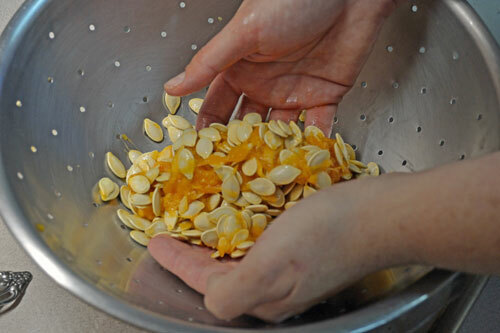 Crunching them up a bit might help, but even if you can’t do anything with them except put them into the drum, they will still contribute lots of nutrients to the emulsion. Use the recipe for the rest – 1/2 full of aged compost, sawdust or leaves. If you don’t have any of that, use the same amount of rich soil to get the microbes for the fermentation. 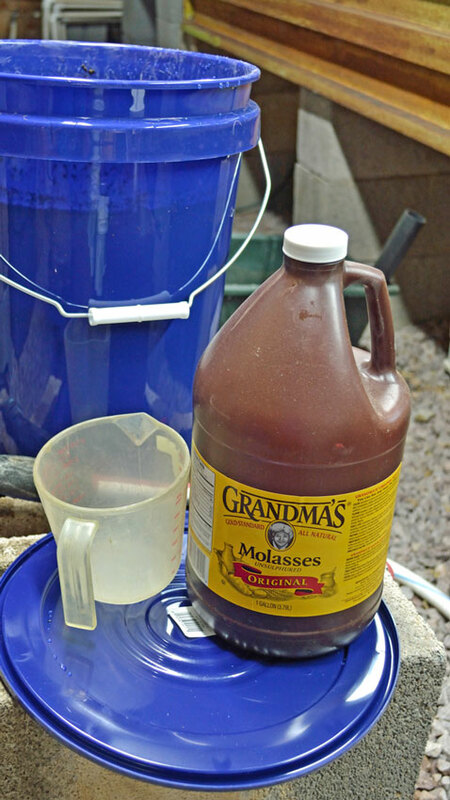 Just make sure to increase the measurements for the molasses and such for the larger container, as the recipe is based on a 5 gallon bucket. I finally have all the ingredients and am about to mix up the brew_ can’t wait to see the final product. I am considering posting your article on my blog, Voiceinthegarden,blogspot.com, but thought I should first request permission to do so. Yes, please, help share the information! If I’m going to an oriental food store already to purchase dried seaweed, then can I purchase dried herring there in bulk instead of using canned sardines/anchovies?? Or are the canned fish better because they are preserved in oil, making the inherent goodness more readily available? Please let me know. 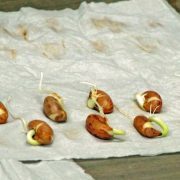 Thanks for the great articles on this, seed starting media, and tips on growing peppers! All were so relevant to me right now. Thanks again. Emily, I would give the dried fish a try! As long as it isn’t too expensive, running a trial fermentation wouldn’t hurt. Please let us know how it turns out if you do try it! I’m glad you have found our article of value, thanks for the kind words. I’ve got all the ingredients needed for my “brew” except for one.. grrr. What if we don’t have blackstrap molasses. What’s a good substitute? I have leftovers peach preserves in the fridge. Jean, you don’t absolutely need the molasses. You can use other types of molasses or even an equal amount of brown sugar if needed. The sugars help the fermentation along and can manage the “aroma”. I’m afraid my emulsion is spoiled. I overlooked the part in your directions about stirring it every couple of days! So I made it and left it without checking on it for a month. I went out to strain it off and found it all moldy on top and smells really bad. Do I need to pitch this batch and start anew? Sharon, did you use the molasses to start? I didn’t stir mine very much and there is a slight bit of white mold on top. I will just remove that and strain it, keeping the liquids and adding the solids to the compost pile. How much mold is on top and what color is it? White mold isn’t a bad thing, and it will smell something powerful, especially if the molasses wasn’t used. You might be able to remove the mold on top if it is mostly white and strain the liquids out. Thanks Stephen!!! I am headed to Chinatown right now to get my seaweed. Your recipe seems great and i am excited to try it but I am wondering whether you can specify an amount for the seaweed as you have for the other ingredients? That would certainly be helpful. Thanks! Hello Emily! The amount of seaweed will depend on how much nutrition your soil needs. The molasses and seaweed both provide minerals and nutrients that may otherwise be lacking. If you have a rich, productive and fertile soil, you won’t need much. A soil that you are working on to build the health and fertility of will need more of both the molasses and seaweed. I would probably start with 1/4 cup of seaweed. Please let us know how it turns out, and how it works for your garden this year. Next Tuesday will be one month and I’ve followed this recipe as closely as I could (scaled down for my needs), so I’ll stop by and let you know how it turns out. I’d done a previous one using canned sardines that my mother accidentally threw out after getting a whiff of it… this time I waited to get some fresh ends, and ended up with flying fish. I wonder how it will differ. Hi Stephen, I’m going to try this formula for the first time,..can’t wait. On my next fishing outing I plan to bring back some of those prolific breeding Bluegills to use. In the five gallon bucket portion how many fish could I use and would chopping them up be a good idea? Jim, it depends on the size of the Bluegill. I wouldn’t go much over a pound of fish, as you don’t want to overwhelm the microbes. You can add more of the bones and guts from cleaning other fish to make the weight and avoid wasting those nutritious parts. Don’t forget that you can compost the unused parts of the fish as well, just realize that it might attract animals if you have such around. Did a search tonight and found you . Thanks for the info . I use a similar method for my ” catfish chum ” by fermenting wheat or milo / molasses / beer / yeast / sardines. I’ve used fish carcasses in the garden for years ( be sure and clip the spines from catfish before burying – they last for years ) . One question about the emulsion and house plants . Would it attract gnats ? Siberman, I don’t know simply because I don’t know if gnats are attracted to scent like flies are. I do know that they are attracted to heat and dark objects. I don’t see a lot of gnats on the horse manure, just immature flies so I would expect that it wouldn’t attract them especially. Glad you like it Bryan! Just looked up fish emulsion and you popped up! Sounds do-able for a smaller quantity. I am currently in Okinawa, Japan, right on the East China Sea. Seaweed is always on the beach, but instead of sand, we have coral underfoot, completely tangled in the seaweed. When I was attempting to make compost, I tried to dry it first, but finally gave up and just threw it all in the compost bin…will have to sift it out later, lol! Would that method work for this? It seems like it would. It would be awesome to have a faster way to get a compost tea…and take advantage of the free seaweed! Vee, sounds like you’ve got both seaweed and fish in abundance to make some great emulsion with! I would think that chunks of coral won’t be a problem, as you will sift or filter the emulsion solution when you are done with the fermentation part anyway. Let us know how it works for you! Your blog is so interesting and I also grew your Espelette Peppers this season (Gorgeous plants)…Thank you so much! Can’t wait to try this recipe using vegetative compost rather than a manure based compost as I’ve read that sugar can reactivate pathogens such as Salmonella, E. coli and I’m pretty uncomfortable with that nasty stuff. I really liked that you gave options. 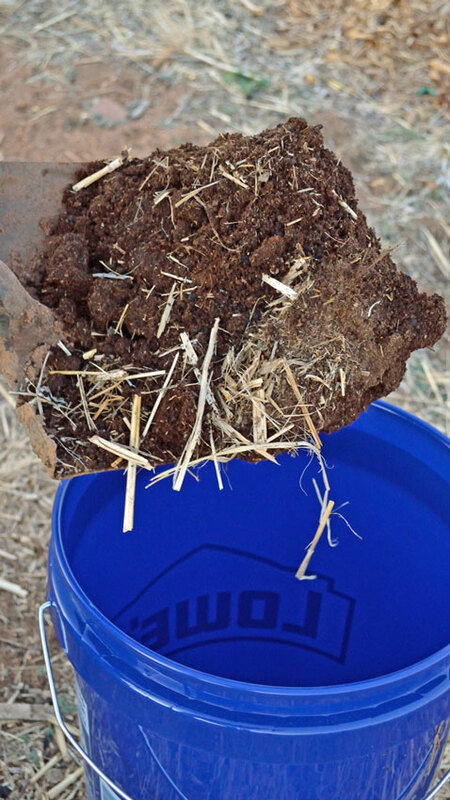 If you use a manure based compost, don’t do the “quick and dirty” fast compost that is so popular today! The high heat burns off a lot of the nitrogen, decreasing the nutrient value of the compost. Long, slow and cooler is best as it keeps essential nutrients in the compost, kills pathogens, decomposes seeds, bugs and their larvae and deconstructs any residual chemicals more thoroughly. Glad you are enjoying the info! Thank you for this excellent article and advice! You are welcome Sheila, please let us know how it turns out for you. I found this site and made some about four weeks ago. I blended 52 whole bluegill with some molasses and added some dried grass I had on the top of my compost. It’s now finished and the smell is tame compared to the first 2 weeks! I noticed you still don’t want to get any on your hands or cloths as it is very hard wash off the smell. Blending fish is also not for the squeamish. Thanks for the great tutorial. This allows me to make 5 gallons of fertilizer with an annual savings of about $70 plus you get a far superior product than commercial emulsions. Nothing like going big on your first try Casey, congratulations! Let us know how it works for your garden. Should only the tea be added to the soil. I am working on the soil for a new garden next year. The soil is very hard clay. I wanted to try this brew but I wasn’t sure if I was suppose to add the whole thing directly to the soil or only the liquid and compost the solids. I was thinking of applying it this fall. Let it sit for 8 months. How much should I use? Fran, usually the tea or liquid is used during the growing season to help feed the plants, or at the beginning of the growing season to help increase the nutrition content of the soil. The solids are composted. For hard clay, the first tool that I would turn to is charcoal and compost. You can read about the magic of charcoal in our article Terra Preta- Magic Soil of the Lost Amazon and Compost- Nourishing Your Garden Soil. If you will be growing a cover crop or fall/winter garden, using the fish emulsion will benefit the plants and ultimately the soil. Applying it to the soil by itself will not give you as good of benefits, as the emulsion feeds the plants more than the soil. Just a quick update… I used the fish emulsion on various plants around the yard to see if i notice a difference and the results were amazing. I have been using a commercial fish emulsion that at times seemed to have no effect. I didn’t think much of it because the soil is very sandy in my garden and assumed that it just leeched out. In one plant in particular I had feed it twice before with my store bought emulsion and I noticed almost no change. Again it was a succulent potted in sandy soil and I figured it washed out too rapidly to really make a difference. A week after I applied the home made version it seemed to come alive. I noticed color and vigor that was previously non-existent. It seemed to wake the plant from a sleep. I contribute this to a revival of microbiological activity. Thanks again, cant’ wait to use it in the garden next year. Casey, that is fantastic to hear! We keep getting notes from people all over that this recipe has been very good to their garden, and we are so glad to be able to help. Thanks very much for sharing this with us. This info. is great ! Question: Could the fish emulsion be used to “supercharge” charcoal ? If so, what would be the best way to go about this ? I thought it might be a cool experiment. Pat, that is a great question! I haven’t tried this approach, but it should work well, as in our compost and charcoal articles we talk about the need to “charge” or “activate” the charcoal with the minerals in the compost for 3 – 6 months. The biological activity of the fish emulsion should help to charge the charcoal very well. If you do experiment with this, please let us know how it works for you! The fish emulsion is definitely expensive. Thanks for giving instructions for home brewing it. We’ll give it a try ! Good to hear David, let us know how it turns out for you! Hello. Thanks for your kind suggestions and comments. The question i want to ask is that i don’t have access to seaweeds . So can i make this fish emulsion without seaweed.. I live in Kabul so during June, July and August the temperatures goes to 35 to 40C. Is it OK to apply fish emulsion to fruit bearing trees..
Hello Hamid! You don’t have to use seaweed if you don’t have it, I included it as an optional nutrient booster. Yes, fruit trees love the fish emulsion – it boosts the biological activity of the soil and improves their growth and fruit production. Thanks alot stephen. Its been two weeks since i made my fish emulsion but i noticed after two weeks a white layer with a few blue spots. Still i didnt know wat to do than i stirred it is that ok. Or i should make a new one. Second question is i dodnt had approach to epsom salt would that make alot of difference. The white layer is fine, you did the right thing by stirring it in. You only need to add Epsom salts if you need extra magnesium in your soil, or seaweed or kelp if you need the extra minerals and nutrients – they aren’t required for the brew to do well. This article is very informative, thanks! Just a quick question, I brewed some fish emulsion about a year ago using tilapia fillets, epsom salts, and leaves, but wasn’t able to use it at the time, Fast forward to today, I’m preparing the soil for my tomatoes and find the bucket of emulsion under my porch (it had been there since last year). Without thinking too hard about it, I poured it over the soil. It smelled basically like manure. Now I’m a little worried that it may be riddled with pathogens at this point, do you think the soil will be okay? This article says it’ll keep for a year, but does that apply if it’s been sitting outside for a year? There’s nothing planted in the soil at this point but I don’t want to plant my tomatoes if there are now harmful pathogens from the emulsion that could lead to diseases from eating the fruit of the plants. You might be over-thinking this a bit. If you had it outside and covered with a lid for a year, any pathogens that were present are long dead without a host to inhabit. Where would the pathogens have come from? 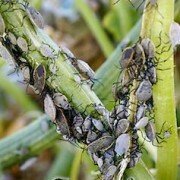 Pathogens need to be introduced from a host of some sort into an environment that will sustain them. I don’t think you’ve done any harm, possibly over-fertilized the soil a bit, but nothing else. What if we dont use seaweeds.. Would that matter alot. The second question is that can we give this fertilizer to fruit bearing treess. You don’t have to use seaweed, it was included as an optional extra to boost the nutrient value of the fish emulsion. Hi and thank you for so generously sharing your knowledge.I plan on using moo-nure brand compost in my emulsion — the company reports it uses a six month process — would that be slow enough? How do you feel about using the mushroom compost? Christina, compost is best when it is at least 6 months old, so that should work well. Be careful and research the mushroom compost, as some is great while others add a lot of salt to kill anything growing but the mushrooms! A couple of our customers found this out the hard way, after their started dying on them. 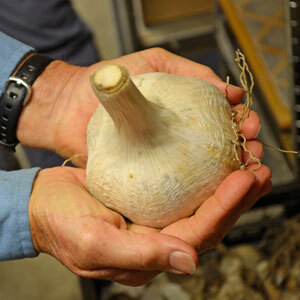 Find out what is used in making the mushroom compost, and if you can’t then I wouldn’t use it. Hi Stephen, Thank you for your timely response. We made it tonight and my husband bought a ten dollar fish pump, some tubing and T connectors, ran the tubing through a hole we put in the bucket, ran it around the bottom, and we have our brew bubbling away for well under 20 bucks. I’m very excited about gardening this year. I love to grow my own food, but have not gardened in three years due to a fungus that broke my heart that year — other than container gardening, which I found very unsatisfying for veggies. But this year I’m armed with your emulsion, charcoal, manure, azomite, hope in my heart and some new found knowledge thanks to generous people like you. We watched for worms as we tilled for the first time this year and saw only a few; I wonder if we should buy some of the squigglers or will the yummy additives draw them in. Is this a “build it and they will come” deal — or do we need to take a more direct approach. Worms are great indicators of the health and fertility of the garden. If you import them too early, they will die or leave. When the conditions are right, they will be there! Hello Stephen, thanks alot for your kind replies. Question. is there any specific time gap in between for applying emulsion or we can apply it on everyday. Hamid, this is a very strong fertilizer, so I would recommend application once a month. The normal dilution is in the article, but 1 teaspoon to a gallon of water is pretty normal. You are welcome, let us know how it works for your garden! 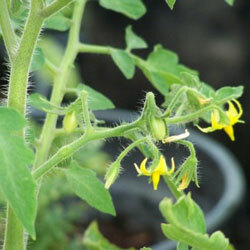 You can use the fish emulsion diluted into a watering can or drip system on all plants with no harm. Everything will benefit from the nutrition! Just wondering is it cost effective to use fish oil on pasture in the winter (for a sheep farm) or is it best to wait for the spring when things get a little bit warmer. I am in NZ and where we are it goes down to about 0 degrees Celsius at night and 7-10 degress during the day. In the spring it gets a lot warmer and we get lots of growth so is it best to apply closer to the spring? Milk and molasses would be the thing to apply to pasture – 3 gallons per acre milk and 1/2 gallon molasses. Read my article in Mother Earth News Organic Gardening blog “Improving Garden Soil: Milk and Molasses Magic” for the full story, plus a couple of links with much more info! The fish emulsion will work, but is much more intensive to do on a larger scale – that’s why it is mostly used for home gardeners! 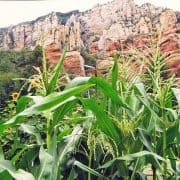 Using fish for fertilizer at the base of plantings goes back to how the Native Americans taught the early colonists how to grow food. It will definitely work! Stephen I was wondering if used lime dust would it hurt the emulsion ? A little won’t hurt, much the same way you would add seaweed or kelp for micro-nutrients. You mentioned it shouldn’t smell like rotting meat. What if it does? Mine is about 5 days old and when I take the lid off to stir it, I hold my breath and when I put the lid back on and walk away – it is still a very foul smell. It smells like decomposing road kill, not fishy. Did I screw up? Should I give it more time, or try to bury it in a pile of sawdust? PS – I meant to say I used fresh fish locally caught. Jared, it will smell something powerful, so don’t worry about that! It seems to depend on the compost used as a bacteria supply as to what the fermentation smells like. I’ve had batches that smelled worse than others, so go figure. I would finish it out, strain it and use it on a test plot to see what it does. More than likely it will work great, just have a more pronounced ‘aroma’. As long as you followed the recipe, it should do fine. I don’t have access to much seaweed but I do have about eighty Moringa trees that produce copious amounts of leaves. Moringa is said to be really high in nutrition including a large amount of trace elements and etc. Do you think that some of that goodness can leach out into the mix? Jason, I don’t know much about the Moringa tree – except that it is very popular with Peraculturalists. If it does have the trace elements, then chopping them up and adding them to the fermentation would most likely be beneficial for the emulsion. As always, if you do this experiment, please let us know how it works and what results you see! I only use potting soil for my gardening so would I need to have my soil analyzed before making this? I only do container type gardening (grow boxes) as I am disabled. I would like to have the best for my boxes, though. Elaine – you probably don’t need to have your soil analyzed, as you can change it out after a couple of seasons. For container gardening I would recommend making a half or quarter batch, depending on how much you are growing. I have a suggestion for anyone living near the coast. 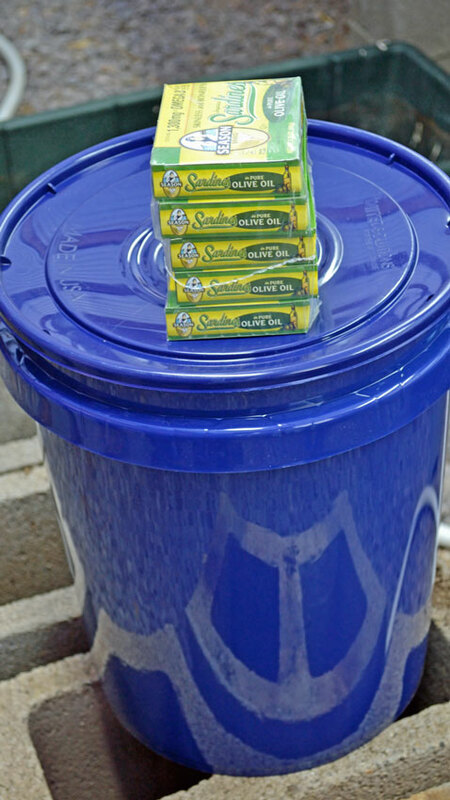 Most saltwater bait stores will sell boxes of chum. It is basically scraps from caught, filleted fish or other types of bait fish and fish waste. It gets run through a machine that chops it into very small pieces. It’s poured into a block mold, frozen and sold in 3 or 5 lb blocks for $7 to $11 a block. Seems a lot cheaper than buying canned fish. Hello, followed the directions for making this lovely brew, but time got away from me. The only difference is that I used fish scraps instead of cans. I diligently stirred my mixture every other day for the first month, then let it sit for about a month without straining it or mixing it, but it was covered. Is it anaerobic and can it be used without creating problems? How do I decipher between “rotten” or just smelly. This is my first attempt and I don’t want to do more harm than good. Thanks! The type of fish doesn’t really matter, and it can sit unattended for a long time. If you read through the comments section, you’ll see lots of people making this emulsion in lots of different ways. Some have left it for a year. If it has been around a month, you should be just fine. The smell will be powerful, but you should be able to determine if it is a “fishy” smell or a rotten one. I’m fairly certain you have a perfectly brewed fish emulsion that is ready to use! Thanks so much for this and all the other invaluable resources. You guys are an inspiration and really walking the walk. Thank you so much, Stephen, for your wonderful contribution to humanity. I am looking to leave corporate USA and do something that likewise contributes substantially. I am curious whether or not you believe it would be safe to consider making use of fish that have died of natural causes in breeding or culture programs. The causes would obviously be varied and/or unknown, and the questions are 1) whether any pathogenic danger would remain after the process as you have described it and 2) whether you would recommend any modification to process duration and/or mixture of components for absolute safety in such a case. Thank you, and may God bless your continued contribution. Justin – You would need to do some research into the programs and any inherent pathogens that are currently present. Fermentation can render some pathogens inert in vegetables, but fermenting fish is another universe! See if the breeding or cultivation programs test for pathogens currently – I would assume most do for food safety and health concerns – then make the best decision from there. You might want to spend the money and do a test on the final product after you have refined the process – this would give you the ability to assure customers of the safety of your product.